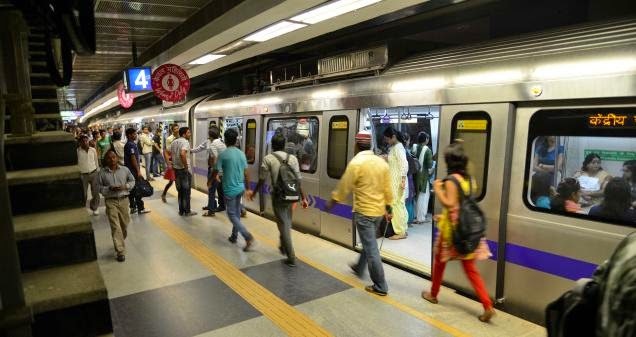 Delhi Metro has been ranked second among 18 international Metro systems in terms of overall customer satisfaction in an online customer survey conducted among the commuters of those Metro systems by ‘Global Metro Benchmarking Groups’, ‘NOVA and CoMET’. Delhi Metro, along with London DLR and Bangkok were the best three performers in the ‘Net Promoters Score’ (NPS) category that analyzed the likelihood of customers recommending the service to others on the basis of their satisfaction. The NPS is calculated by the percentage of promoters minus the percentage of detractors (P-D = NPS). When asked to list out the three top priority areas, the respondents from Delhi along with 17 other Metros listed as ‘Availability’ as the most important requirement. Only New Castle and Hong Kong selected ‘Reliability’ as their most important area. Delhi Metro commuters rated reliability and crowding as the other two important priority areas. More than 41,000 respondents gave their feedback worldwide in this survey conducted online through the websites and social media links of 18 major Metros of the world from April 28th to May 25th earlier this year. The Metro systems that participated in this survey apart from Delhi Metro were Hong Kong MTR, London Underground, Metro De Madrid, Paris RATP, Metro De Sandiago, Singapore SMRT, Barcelona TMB, Brussels STIB, Bangkok BMCL, London DLR, Istanbul Ulasim, Kualalumpur Rapid PL, Metropolitano De Lisboa, Montreal STM, Newcastle Nexus, Metro Rio and Toronto TTC. The survey was conducted as per the European Norm 13816 and the areas covered were - Availability, Accessibility, Ease of Use, Information Prior To Travel, Information During Travel, Reliability, Customer Care, Comfort, Crowding, and Security. DMRC is a member of the NOVA group of Metros which is a benchmarking community comprising of 17 Metros (small and medium size Metros) from around the world. It provides a platform to share experiences, ideas & good practices followed by member Metro systems across the world. It also helps in evaluating the performance of Metro systems by studying their key per performance indicators. The forum is co-ordinated by the Rail Transport Strategic Centre (RTSC) of Imperial College, London.